I love bold and bright colors as much as the next girl. However, spring is a great time to soften up the look in pretty soft pastel colors like mint, peach and pink. 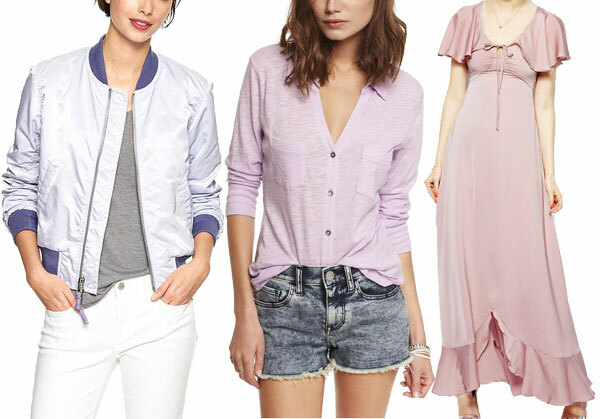 Here are a few favorite pastel looks for the season from head to toe and how to wear them. Spring is the perfect time to get creative with your wardrobe, especially to play around with different colors. While in every season you'll continue to see bright colors and playful patterns, spring is often associated with soft pastel colors like blush pink, baby blue, soft yellow, mint green and lavender. From the runway to the streets, we're seeing these soft colors shine this season and here's a quick look at how you can wear them to look your best this spring. Mint green is one of those colors that I can't get enough of. It looks pretty on everything from housewares to shoes. The actual shade itself really complements olive skin tones. However, just like anything, the color itself is altered based on the manufacturer of the clothes and can be softer or brighter on certain fabrics. A darker, brighter shade of mint green looks great on fair skin tones and the lighter version of the color looks fabulous on dark skin tones. Mini Mint Linen-Blend Pullover, $27. Pleat Your Match Mint Skirt, $40. A blush pink, sometimes referred to as baby pink, looks great on all skin tones but really brings out the best in those with fair skin and blond hair. The soft pink color warms and brightens their eyes and hair making an overall glow. This season, try a blush pink dress for a wedding or graduation and for every day, a pair of pants for an extra stylish look. Ark & Co. Embroidered Tie Waist Dress, $59. Piped Broken-in Straight Khakis, $50. Not as bright as the sun but soft like a daffodil, soft yellow is a color that looks best on those with medium to dark skin tones. 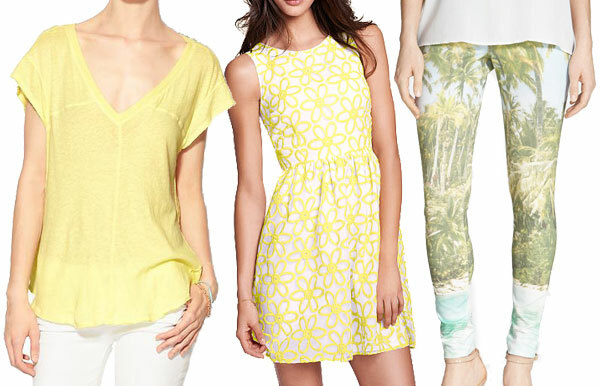 For spring, try a fun T-shirt in soft yellow with jeans or a pair of patterned tropical pants for your upcoming spring or summer vacation. Free People At The Seams Tee, $58. Embroidered Fit and Flare Dress, $98. Hue Tropical Sleek Ponte Leggings, $150. One of the richest colors on the pastel palette, lavender also looks great on dark and olive skin tones. Since the 2014 Pantone Color of the Year was named Radiant Orchid, you'll be seeing a lot of this color in different versions throughout the spring season and the rest of the year. Try a silk maxi dress for special occasions this season or a shiny bomber jacket for everyday fun. Slub Knit Two Pocket Shirt, $21. Jarlo Georgia Maxi Dress, $94.